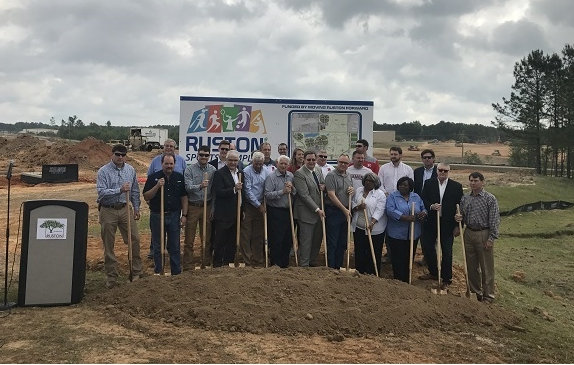 On May 3, 2018 Womack & Sons, along with the city of Ruston officially broke ground on the much anticipated Ruston Sports Complex. The 185 acre complex will have 36 fields and have the capacity to hold 6 tournaments at one time. It will be eco friendly including LED lit fields, and solar phone charging stations. The sports complex will be located at 1501 South Farmerville Street in Ruston, Louisiana, and is expected to be fully functional in December 2018.